What Makes You Financially Solvent? Track your debt so you can determine your financial solvency. 1. Does Personal Net Worth Affect Credit? 2. How Does a Short Sale Affect a Co-signer? 3. Do I Have to Pay Income Tax on My Hospital Bills? Financial solvency measures your ability to take care of your financial obligations. Even if you pay all of your bills on time, you must evaluate your overall financial health to determine whether you can sustain growth or whether you're moving in the direction of financial failure. If you can’t keep up with your bills, you may have too many liabilities and may actually be insolvent. Measure your solvency by comparing your assets to your liabilities. When an individual or business can pay all of their bills on time without having to tap into savings, they are said to be solvent. You must know the grand total of all the money you owe. Any credit card debt counts as a liability. Count any loans you have co-signed or guaranteed for others, even if you do not make the payments on those loans. A mortgage qualifies as a liability, and so do your property taxes. Your yearly income taxes are liabilities. The total of your liabilities constantly changes, depending on recent payments and tax estimates, so you must check your liability status several times a year. Anything you own of value qualifies as an asset. This can include the equity in your home, vehicles, furniture, jewelry and investments. Count your current cash in checking or savings accounts as an asset. Also calculate accounts receivable, such as salary owed to you and any loans you have made to others which they signed and agreed to repay. The value of items such as cars and equipment decreases over time, so you must revalue your assets regularly to make sure you do not become insolvent due to declining asset worth. To be solvent, your assets must total more than your liabilities. If your assets amount to less than your liabilities, you are insolvent. If your assets are equal to or greater than your liabilities, you are solvent. You should track your solvency status regularly and use it to determine whether you should take on more debt or concentrate on paying down debt. 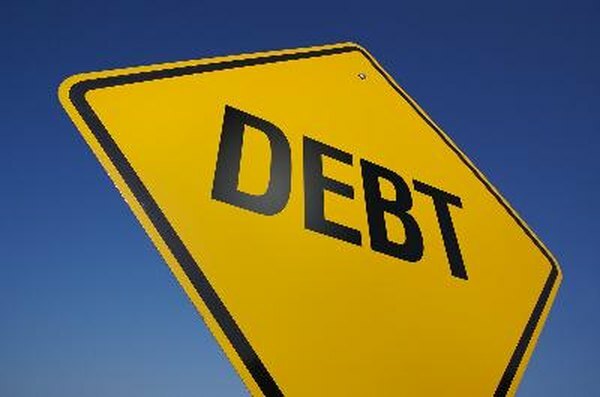 The moment you realize you are insolvent -- if not sooner -- you should initiate a debt-reduction program. Your status as solvent or insolvent can help resolve tax matters, such as when you owe back taxes or penalties to the Internal Revenue Service. The IRS will be more likely to work with you on a repayment plan if you can show you are solvent. Your solvency status also figures into your ability to declare bankruptcy, as you must be insolvent to declare bankruptcy. If you have to negotiate with creditors, they may ask for a solvency analysis to determine whether you qualify for lower payments or debt forgiveness. WiseGEEK: What Does It Mean to Be "Financially Solvent"? Personal Finance Lab: What is Solvency? Can Your Spouse's Tax Liability Affect You if You're No Longer Married? Can You Use Your IRA If You Become Disabled?